Every so often, you meet a person who you click with immediately…This year that’s happened to me a couple of times. In June the very lovely Toby opened Number 35 Coffee House and Kitchen in Dorchester (who I blogged about in June). Then last month Toby mentioned that a new kid in town was interested in starting a crafting group, meeting at Number 35, and would I get in touch with her? Jenny and I immediately hit it off, and now The Chain Gang meets at Number 35 every Wednesday between 11am and 1pm. Everyone and every craft is welcome. Last week I dipped my toe into needle-felting, something I would never have tried by myself at home. 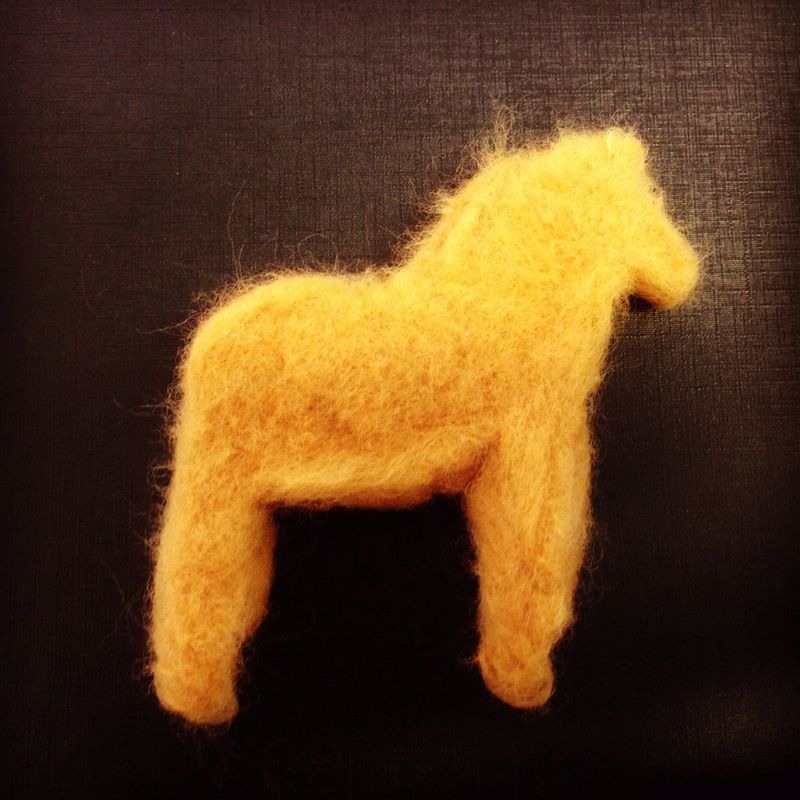 Check out this little work-in-progress horse! 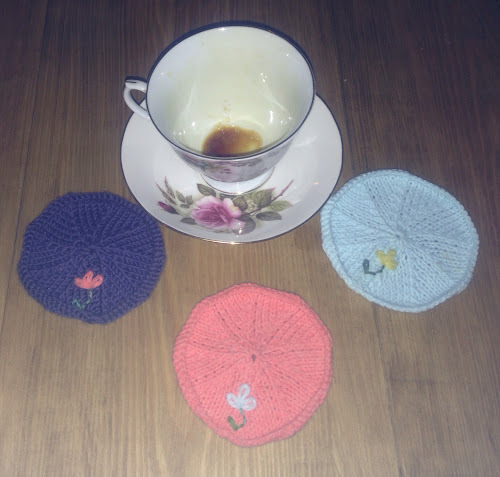 I nip along to meetings in my lunch hour, and it’s so lovely to have a friendly change of scene and natter with like-minded crafters for an hour. Do you meet up with fellow crafters? I’d love to hear your experiences. And if you’re thinking about joining a craft group, do it! It’s such fun, so sociable, and gives you a chance to pick brains, share experiences, and try new crafts! PS, if you’re ever in Dorchester over a Wednesday lunchtime, come and see us! You can find out more about The Chain Gang on our Facebook page. Next This week – autumn!